Lake Tahoe Vacation Rentals - World Class Property Management Inc. 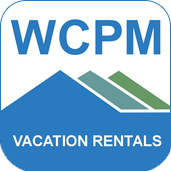 Welcome to World Class Property Management Inc.
World Class Property Management Inc. (WCPM) is a premier property management company in Lake Tahoe, offering first class Lake Tahoe vacation rentals and accommodations in both California and Nevada. Our luxury vacation homes are unmatched for comfort and convenience; each home is equipped with a variety of amenities and furnishings to accommodate groups of all sizes. Please call us if you have questions about any of our listed vacation rentals, services, or if you are looking for a professional company to manage your Lake Tahoe property. We can be reached at (775)339-1188. World Class Properties manages over 60 rental properties in Lake Tahoe. Download our App to unlock the secrets for having a great time on your next Tahoe vacation. Guests of World Class Properties will receive an invitation to download the App before their arrival. Click your phone’s OS icon. Copyright © 2017 World Class Property Management Inc.| B.1000629.CORP |Website design by Tahoe Media Group inc.